With a ‘R’ on the forehead, our existence has something more to it than mere livelihood. It is the fight for justice and freedom because only freedom is worth dying for and when it comes to us we should be able to give up everything, anything to achieve it. It is very important to leave aside all the confusions. Set your mind and go in accordance with His Holiness’s ingenious idea of getting back ‘Tibetan Autonomous Region’ via dialogues and peaceful means. There is no point in contradicting within ourselves whether we want complete independence or TAR, for the simple reason that no body is providing us either. But this confusion is definitely giving Chinese government a nice chance to sway Tibet’s matter here and there and escape. Now, more than ever, Tibet needs brains. Education is the key to our freedom. So, the prime motive of Tibetan students is to study. I always feel that majority of Tibetan students are carefree. We like to procrastinate. Laziness is the enemy of success and this is one of the main reasons why we can literally count the number of phd graduates in Tibetan society. It is not that Tibetan students lack brain, think of our history, we are linked to great scholars, it is also not that we lack opportunity, what we really lack is a diligent effort and determination. We need doctors, engineers, lawyers, journalists, Professors to make a place in the global society. When we will be recognised in the global society, only then our statements will leave a mark and let make a move. There are great Chinese writers who write about Tibet’s situation, about His Holiness the Dalai Lama, about how Tibetans as a manifestation of compassion and peace can extricate Chinese people from their agony. We also need writers like them who can really put thoughts into words, words which can control other’s mind and reach other’s heart. We need Tibetan journalists who can risk up their lives to bring the truth infront of the global society. We need politicians who not only understand Tibetan government system thoroughly but also excels in how Chinese government works. We need researchers in the field of science to go hand in hand with globalisation and sit in level with great scientists of china and the world at large. Not only that, we need researchers in the field of philosophy and history. So, when I say we need all these eminent figures, it means we need hard work, determination, will power and sacrifices. We have to walk through the fire, we will be reduced to ashes but we should be able to rise again. Most of us face identity crisis, especially, Tibetan students studying in college. 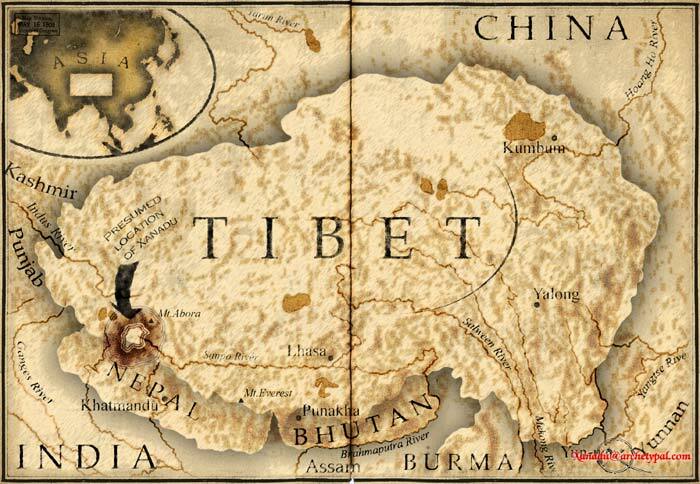 I am dying to hear for some one say, ‘Are you Tibetan?’ but, oh my luck, they will call me northeast, Chinese, Bhutanese, any other country but not Tibet. My friend once got so frustrated that she wanted to ask them ‘Are you Pakistanis?’ But, I can feel more that being frustrated, she was sad. It aches my heart too to think that I don’t have a country of my own. So , it is our duty to spread awareness. Whenever we get opportunity to do presentation, do a good presentation on Tibet or His Holiness the Dalai Lama. Mingle with students of different natinonalities and discuss about Tibet, china, the current global situation. The Youth of Tibet need to preserve our culture and tradition. When I say our culture I don’t mean wearing chupa and singing Tibetan song. Of course, it is important but our culture is our religion. With 21st century education, we need to emphasize on Buddhism, especially Buddhist science and philosophy. Besides, we should always stick to our innate character of being compassionate to others. Our language and scripts are very rich, the only language which can translate Sanskrit scriptures dido. We need to preserve this rich language. Youths have this tendency of mixing every language. We should make sure that while speaking Tibetan, speak pure Tibetan. It is our language and we should see to it that it is not being contaminated. There is another of identity crisis commonly seen in Tibetan society now a days. Tibetan students living abroad don’t know Tibetan language. Tibetan students who had been studying in Indian public school don’t know Tibetan Language. So, when they come to Tibetan society, they feel aloof. They feel different, an alien among their own race. In Tibet also many Tibetan students don’t know they are Tibetans because their young minds have been moulded by the fake history of China. Knowing this, it becomes on the more important on our part to preserve our language. If your parents like the clink of coins more than spending time with their children, you should take the initiative to learn about our history, language, culture and tradition. Your parents neglecting Tibet’s issue shouldn’t be an excuse for you not being able to speak Tibetan. Tibet’s issue is so critical now that we don’t have space for excuse. Tibetan students should also actively participate in various organisations. Not only organizations concerning Tibet’s freedom but we should also participate in organisations dealing with Tibet’s environmental issues. There are many organizations teaching English to the newly arrived Tibetans. Such organisations can help us in a long run. The newly arrived Tibetans can tell us about the current situation of Tibet in it’s purest form but the problem is they cannot put their thoughts in English worlds. Hence, teaching them English can also help spread awareness about Tibet’s issue. I worked in a small organization and I heard that till now only two girls including myself have volunteered to teach English. I was aghast. There are so many high school graduates roaming aimlessly in the market of McLeod Ganj but not even a single cared about making a difference. Finally, The future of Tibet depends on us, the youth of Tibet. An amalgam of Education and Buddhism should be our prime motive. As it says, ‘This is the age, this is the stage but we are engaged’. Even though, this is the age to be careless, this is the stage to enjoy but we have a responsibility. We are like any other student in this world but still we are very different. NOTE-- Tenzin Dhadon is a Tibetan college student studying in the Indian electronic city of Bangalore. I like the simplicity of the writing and clarity of the thought. The yearning of a young Tibetan to regain freedom is so brilliantly emanating from every word. The passion so infectious will definitely ignite many souls.I am sure there are many who are striving, but concerted effort so necessary is lacking. Soon we all shall get together with might of truth and shall conquer our oppressor. Free Tibet. juley! i was born n raised in india. i grew up in a secular society which celebrates diversity of religion, language, food, etc. n this is where my approach is slightly different then yours. i don't think that advertising tibetan buddhism is going to help tibet effectively. you might not have realised but there are a lot of tibetans living outside tibet other then exiles. from baltistan to arunachal we have about 4 million ethnic tibetans. many of them follow islam and hinduism. so if you want all these people to join tibet then u will have to pitch down on tibetan buddhism. if we add up tibetans all over india and tibet then the no. is around 10 million. we non exiled tibetan indians have doctors, engineers, teacher, etc. you name it we got it. you need not start from zero. simply ask us to join which right now tibetan are hesitant in doing. This article highlight the CTA(sherig section). There are many things student themselves can improve and can choice their carrier, but to be in good institution or other sector of professionalism needs to donate huge sum of donations in India or else where. Tibetan shering section need to review the strategies how to make a professional in the field of Science, technology, business, philosophical and many things still to be implemented. Other countries like china, the kids gave a special training from the small age to the professionalism from government onlook. Late 30 years, Education board of shering is lacking in many way to make Tibetan students in professional life. The H.H the Dalai Lama also stress CTA(shering) for uphold the present scenario of youngsters education getting deteriorating. It means To run the free Tibet or Autonomous Tibet both demands for manpower for electricity, technology, science, marine and space research. Its also important that those professional need a place to use what they learned. This article opens the future door of Tibet to survive on themselves. Dawa Tsering lak, what do you call yourself Indian or Tibetan and what do you prefer to be and what about the rest of Indian Himalayan people? Tibetans as a majority have been Buddhists throughout much of Tibet's history, but there is a point to Dawa Tsering la's comment. The Tibetans who are Muslims and Hindus (i don't know if there are any Christians among us) are also Tibetans, no matter what the religion and we have to think about this diversity in our struggle too. I would actually like to apologize to the Tibetans of different religions because so many of us are Buddhists that we tend to forget that there are those of us who have different beliefs. I appreciate the writer for her eloquence and strong sense of nationalism. However the middle way policy envisaged by His Holiness and CTA comprises of whole of Tibet including the Ethnic Tibetan areas of Yunnan, Sichuan, Kansu and Quinghai and not TAR only. TAR comprises whole of U-tsang and a part of Kham only. The rest i.e Kham and Amdo areas are incorporated into these 4 provinces by the CCP. I admire Dawa for feeling himself as an ethnic Tibetan of Indian nationality. I hope all our brothers and sisters of Himalayan region feel the same like you.Anyone of you are welcome to serve the Tibetan society if you have the necessary qualification.In fact many are serving in various organizations and institutions here in India. So if you really care for Tibet,you as an Indian citizen can use your privilege to initiate and participate in various movements/actions for Tibet cause.